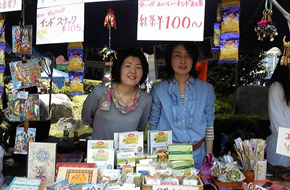 The concept of service to customer is different in India and Japan. Under our motto “For customer and also for working staff”, we, Indian chefs and Japanese floor staffs, are striving to give sincere service every day. 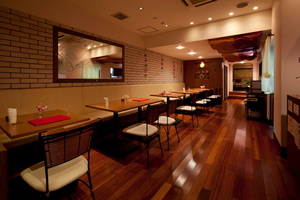 We would like to provide our customer authentic flavors not only for food but also for interior of restaurant. Please enjoy the exotic mood with rich aroma of spice, directly imported silver plateware from India, floor finish, henna tattoo motifs and so on! To make every customer happy we serve a variety of tasty curry lunches at reasonable price. Both Light & Healthy type lunch and Fills Your Stomach type lunch are available. Because we want our customers to have warm naan always, we serve relatively small naan and ask customer to request free refill. 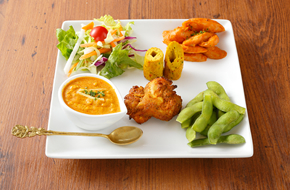 As well as a variety of curries, Hiroshima-style Indian dishes are available. These Kanak original dishes are created by combining Japanese style and Indian spices, and these go with drinks very well! Please try with your friends, colleagues and family, and have a good time. We serve a plate dish for children. Please feel free to ask for baby-chair and plates and utensils for kids. 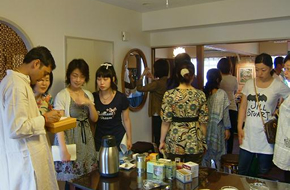 In Kanak, special meal meals are prepared for those who come to Japan on a group travel tour from India. Tally style, buffet style etc. We will respond to your request. Cooking can be prepared from all over India, from north to south. We also make seasonings according to your local preferences. Please do not hesitate to contact us for reservation schedule, budget etc. 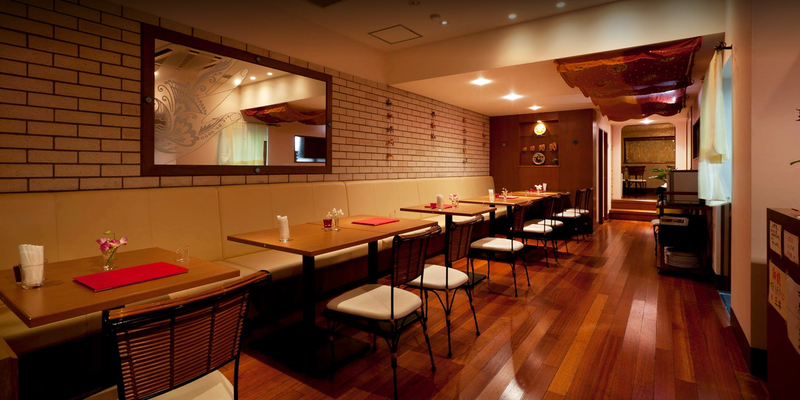 Kanak is close to Peace Park and is conveniently located in the center of Hiroshima’s shopping district, perfect for shopping and sightseeing before and after meals. We can also book lunch as well as dinner. 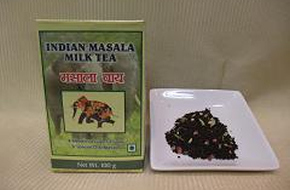 All meat used in Kanak is cooked using meat which received Halal certification. Pork is not included in the menu at all, so you can dine with confidence. In the restaurant you can make a space to pray. We also have mats for prayers so please use them. 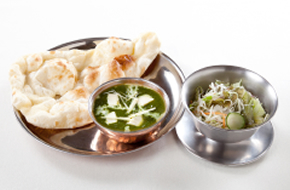 In Kanak we will prepare meals for vegetarians as well as for beacons and people with restricted meals. 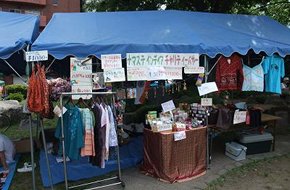 ＊Halal food、Vegetarian Food etc. Lunch BOX、Dinner BOX make it. 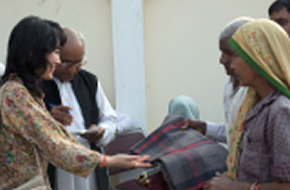 NAMASTE INDIA engages in charity work. 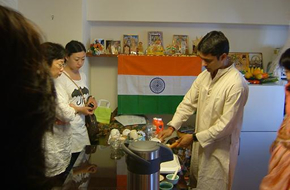 We are a part of group “SHANTI INDIA JAPAN ORGANIZATION”. 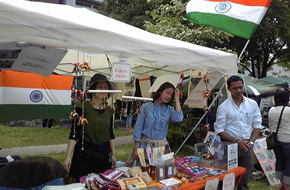 We sell sundry goods and black tea at Flower Festival and Masala chai at Peaserobe, and organize Curry and Masala chai cooking class to gain profits which are donated to support people in poverty in India (contribute meal and blanket). 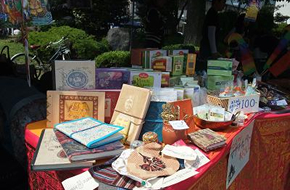 A part of the profits from sales of Kanak and NAMASTE INDIA (5%) are also donated for funds of charity work. Chai Charity was held in June 2009. 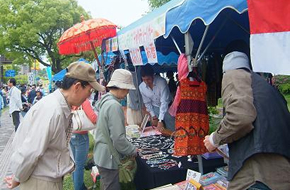 I participate in the flower festival every year since 2009 and are carrying out charity activities. © Copyright 2019 kanak. All rights reserved.